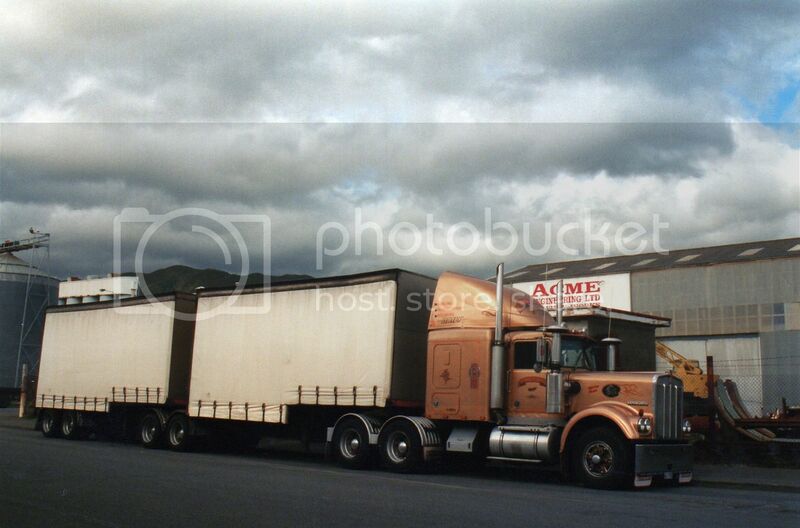 John Lockley's Kenworth with B-train attached. 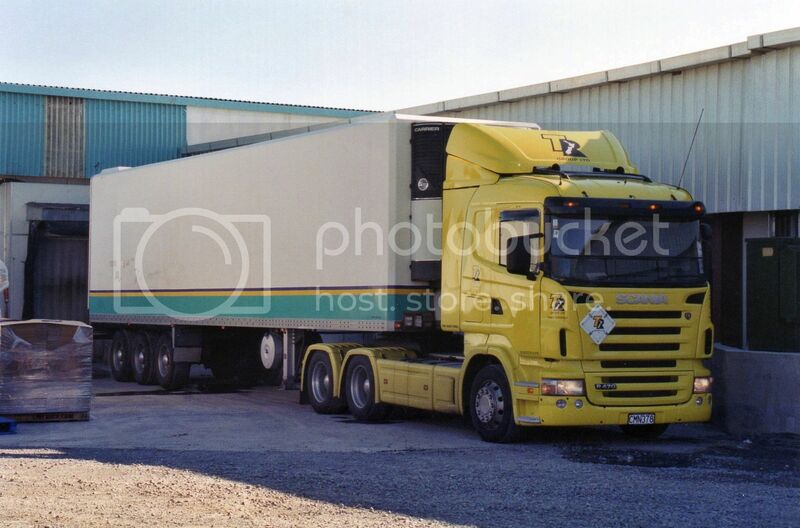 This size sleeper looks a bit large for this length chassis, the coupling appears to be over the rearmost axle. 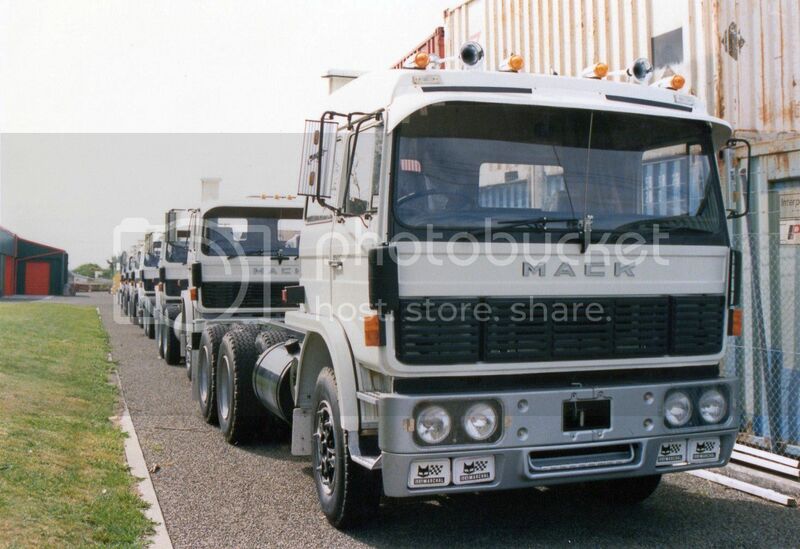 A line of brand new Midliners at MTD in Palmerston North. 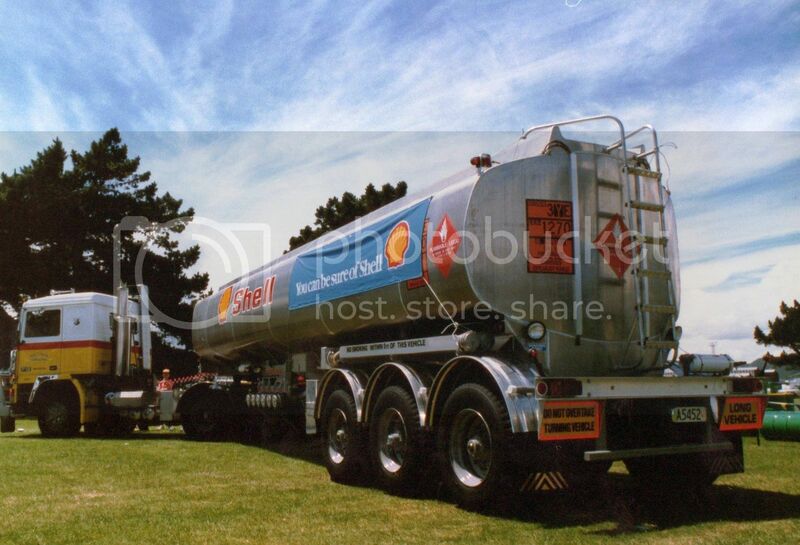 Volvo F12 of Tony Fryer contracted to Shell. 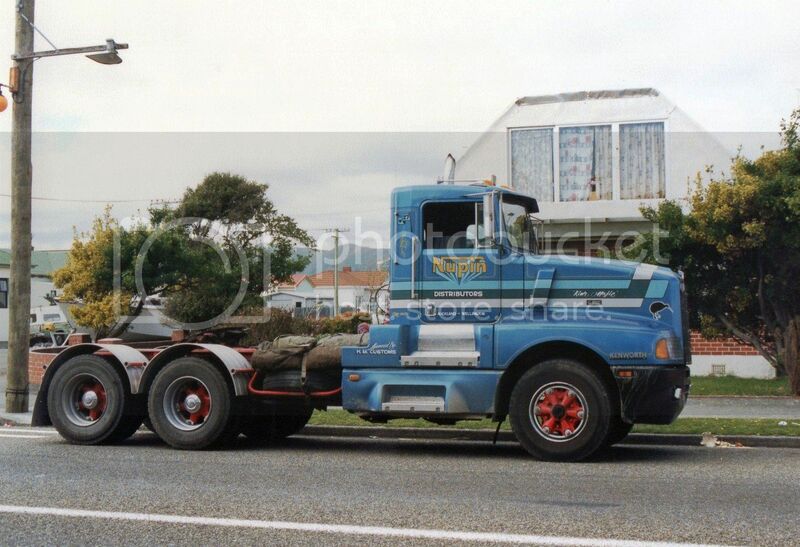 Nupins T600 Kenworth parked in Cuba Street, Petone. 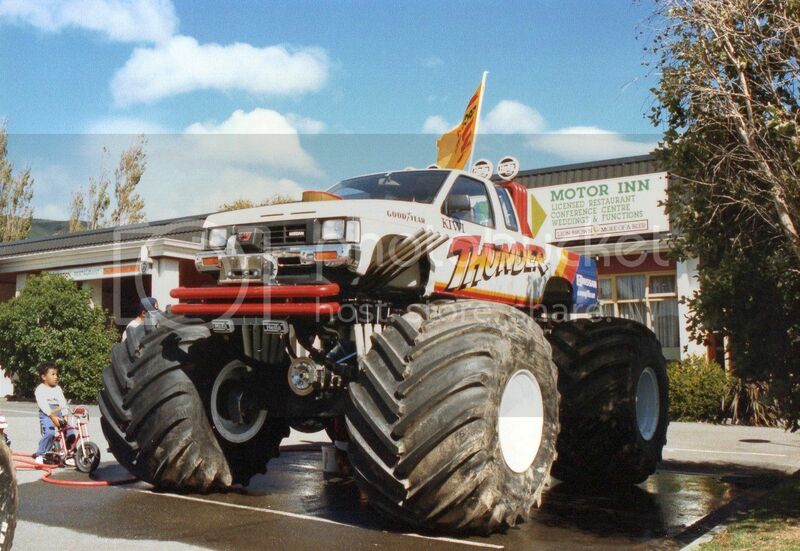 "Kiwi Thunder" on display in Stokes Valley. I assume only the body was provided by Nissan? 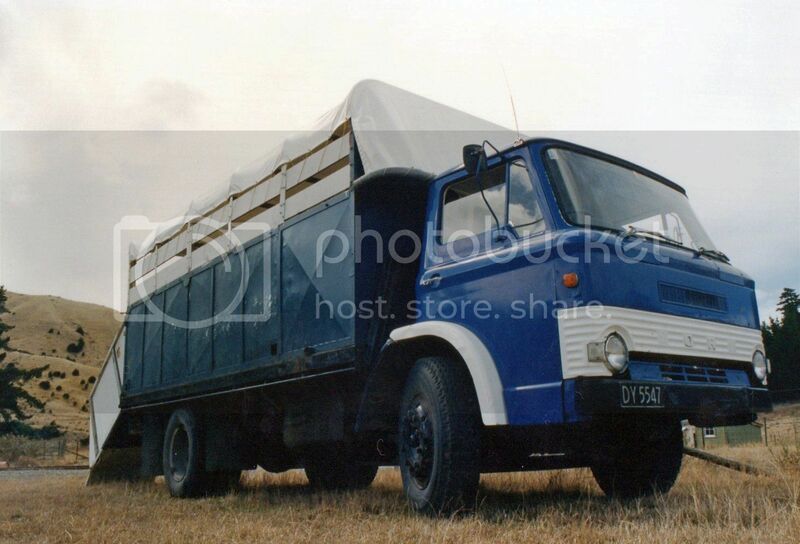 Ford D750 horse truck, operating in Marlborough. 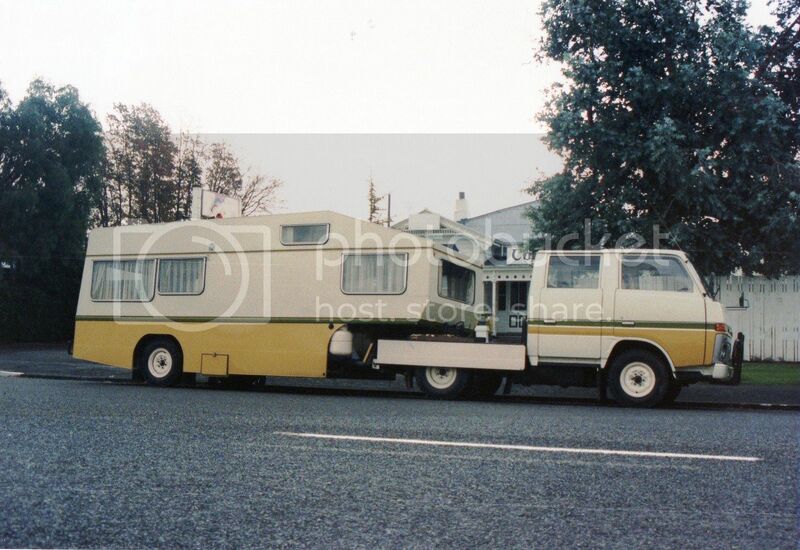 Daihatsu Delta with 5th wheel caravan outside the Colonial Cottage in Chapel Street, Masterton.. 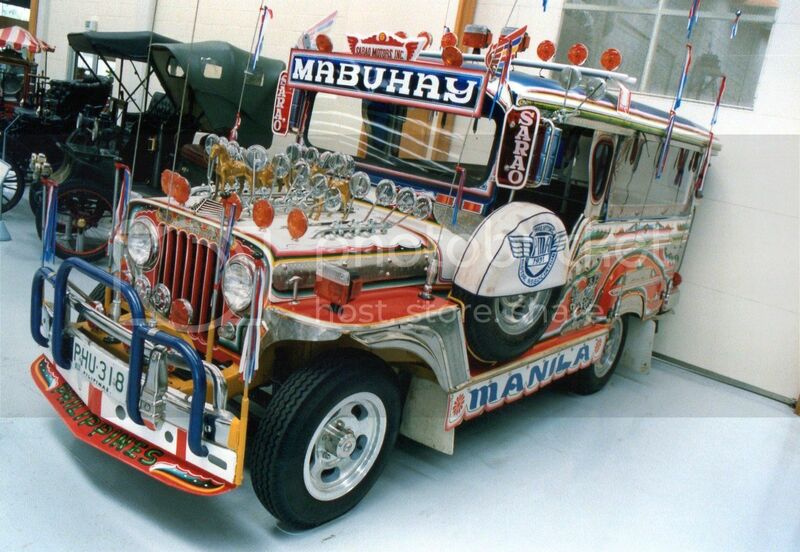 Wonderfully colourful Jeepney at Southward's Car Museum. 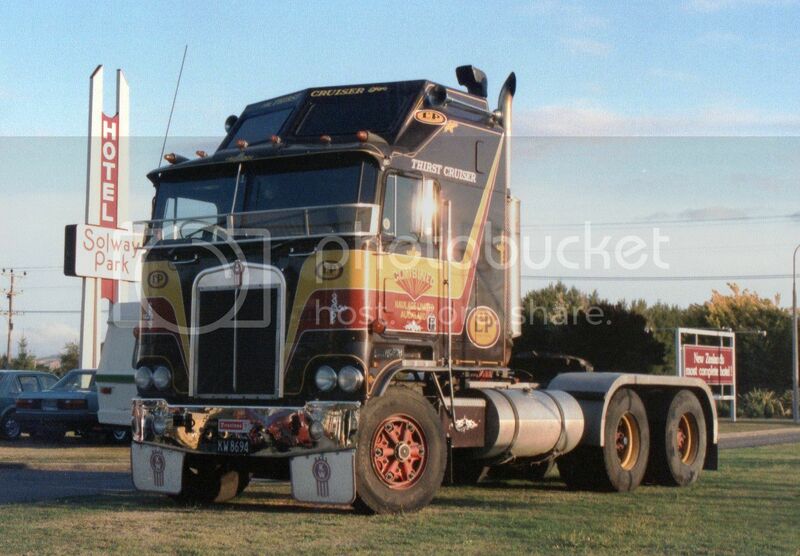 was imported in 1986 having been previously registered in the UK. 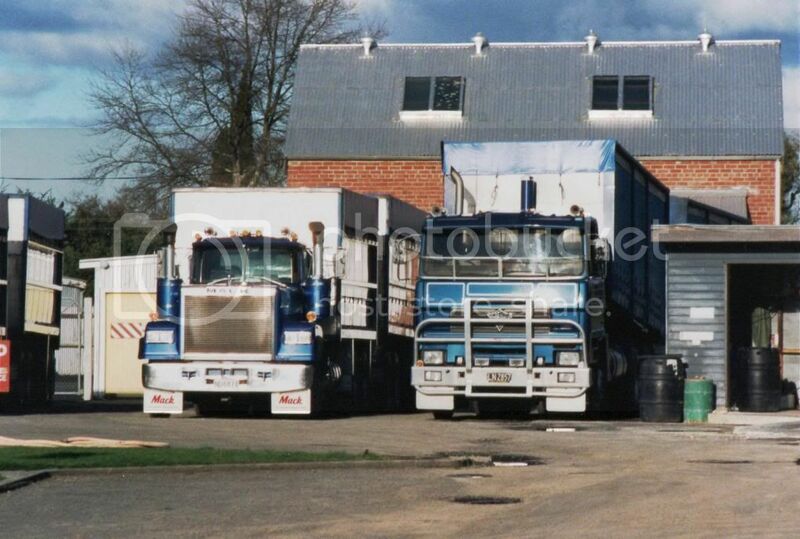 Mack Superliner and Foden operated by Herb Renall at his depot, at the time, in Ngaumutawa Road, Masterton. 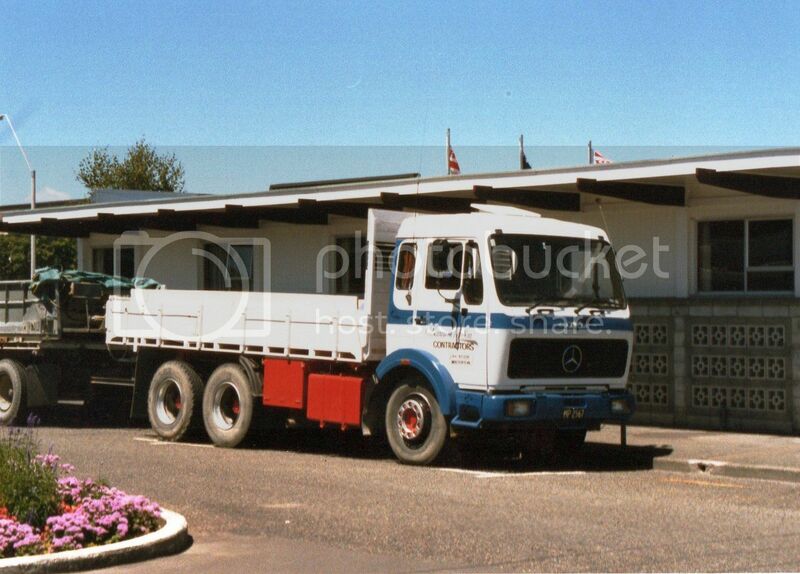 Scania R470 of the TR Group loading out of Premier Bacon in Carterton.